After its release, many compared it to their own personal Star Trek adventure. It is no secret that No Man’s Sky is one of the most popular games out there, raking in $24 million in July according to the market intelligence firm SuperData, making it the best month for the game since its launch. There’s a good reason behind that game’s growing popularity despite having some setbacks. And the fact that the game’s content feels endless does help the cause. Overall, it’s a pretty amazing turnaround for No Man’s Sky from two years ago, which goes to show that the 3 or 4 huge updates did wonders and completely transformed the gameplay, making it more interesting for the players, and giving something to come back to. The recent update for No Man’s Sky also delivers on its promises to create a totally unique experience for the two million or so gamers who play the game worldwide. So, let’s take a deep dive into all the recent updates and see how it affects our gaming experience. This update has got many fans of the game excited. 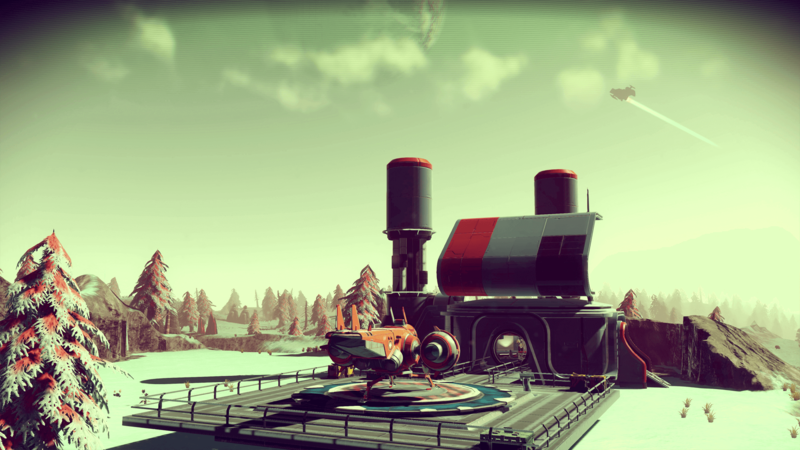 Base Building is a huge part of the No Man’s Sky gaming experience, and while players were able to build their own base in the Pathfinder update which was added in 2017, the NEXT update takes this ability to the next level (pun intended). In fact, the latest update greatly enhances this ability which will without a doubt do wonders for gameplay. The new NEXT update allows players to jointly build bases on any of the planets, with three other players. In case you were wondering, it doesn’t at all impact ongoing quests or exploring new and different worlds together. Those who are going to play by their lonesome also get to use up to 100 new base parts which makes it easier for them to construct even bigger and far more complex structures than before. These additional parts are made of steel, wood, and concrete, allowing players to build diverse and unique bases. New customization capabilities have also been included to the mix with players being given the choice to choose the color of their homes and also add decorations to spruce up the environment they’ve created with the help of lights, furniture, and windows. Players can also install a teleporter and hop between the various bases you have created. For those who have invested lots of time on building bases, the new Minecraft-esque update is going to be a real treat and is definitely a fun addition to the already interesting gameplay. It also provides something to do for those players who would rather chill out than hop planets. For those who have been on the various space stations in No Man’s Sky, this is going to be a welcome update indeed. One area where the game was visibly lacking and literally screaming for improvement was the space station in No Man’s Sky, which seemed more like empty beer cans floating around in space with no real purpose. Even the few aliens you’d find on the space station seemed to be wandering around the Galactic Trade Terminal looking for someone to talk to. (I guess!!). The NEXT update changes all that and gives the space stations a much-needed makeover. You will find the pimped-out space station is bustling with activity and now has two sides rather than one. You will find the good ol’ trade terminal on one side, and that’s not all. There are now also groups of aliens with lots of fun side missions for those who seek adventure. Players can also talk and trade with these aliens in return for information or rewards, which makes gameplay much more interesting than the previous aliens which just stared at you. On the other side of the space station, which was only recently added, you are going to find new merchants who will offer you with rare items for sale and upgrades that will help you along while you move further into the game. You can get the S-Class Visor upgrade for money payouts as well. The new update also allows you to meet with NPCs who are constantly on the move in their starships. But, the most important of all the NEXT updates (other than fixing previous bugs) has got to be the ability to construct your own Teleport Module. This means that players can teleport themselves from their base to the space stations and other bases, which eliminates the tiring and frustrating back-and-forth excursion that players had to go through when they wanted to go to the space stations. To be honest, No Man’s Sky never truly was a multiplayer experience. While the detail and the world(s) that were made were thoroughly enjoyable, at the end of the day, it was a lonely journey even if you enjoyed No Man’s Sky. The NEXT update brings about a change that could shift the intended gameplay model (as per the vision of its creator Sean Murray), which includes a multiplayer option. 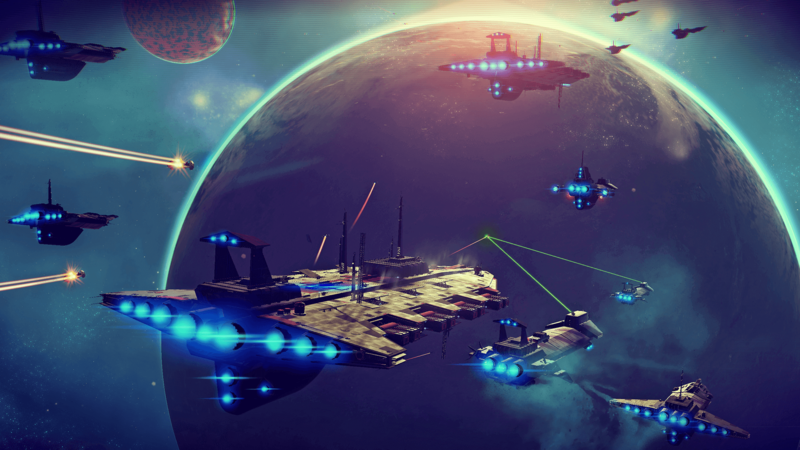 This means that players can now build teams of as many as four players and explore the different worlds of No Man’s Sky together. And just when you thought it couldn’t get any better, the new update also includes in-game chat which enables players to keep track of each other as they go to new worlds and complete new missions. 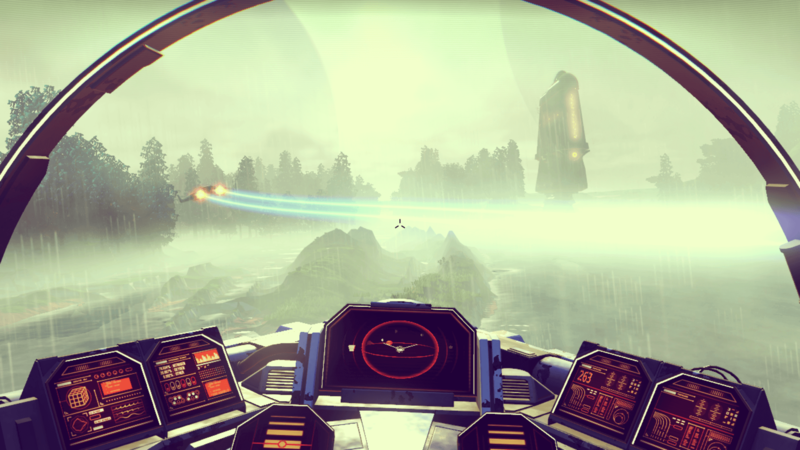 The good thing is you’re not going to see hordes of other random players running around ala MMO-style, but even with the somewhat limited experience with multi-player enabled, the new update is sure to add another layer of fun to the already exhilarating experience that is No Man’s Sky. The NEXT update brings a laundry list of changes and additions to the already super-extended game and seems to have won back some of the fans the game had previously lost. For a game that is laser-focused on exploration, finally being free from the shackles of endless single-player mode, and limited resources will add more creativity to the mix, which will make for an improved journey. Video Game-Inspired Movies: Good or Bad Idea?